I love a good story, especially one set in the past, which is perhaps why I like to mix old things with the new in my house. The doors leading to my bedroom and bathroom were put on by the previous owners when they did some renovations and they have so much less character than the ones they didn’t touch; think Wickes’ finest pre-painted. 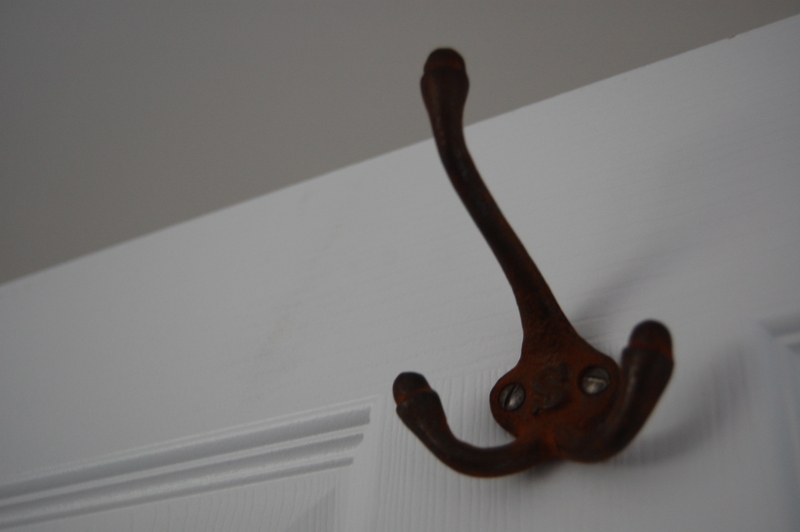 To appease my aesthetic until I can justify the hassle of putting in a new-old door, I got some old hooks to put up from ebay that look like they’ve lived a bit. What do you think? I always thought I’d clean them up a bit but I actually like the rust (and it hasn’t rubbed off on anything yet).